Ernest Samuel Marks was born at West Maitland, NSW, on 7 May 1871, the younger son of London-born shopkeeper Joseph Marks and his wife Elizabeth, daughter of Samuel Benjamin. He was unmarried. He died at Darlinghurst on 2 December 1947 and was buried in the Jewish section of Rookwood Cemetery. Ernest Samuel Marks arrived in Sydney with his family in 1882. He was educated at Royston College, Darlinghurst, and was a champion athlete. He was the touring manager for the Olympic Games in London in 1908, Stockholm in 1912 and Los Angeles in 1932. In 1899, he joined his father’s wool-buying firm, Joseph Marks & Co, and in 1919 was Managing Director. He was also a director of the National Association Properties Ltd. Marks was the founder and executive member of the NSW Amateur Athletic Association, the Amateur Athletic Union of Australia, and the International Amateur Athletic Federation. Sport was clearly his passion and he was also the Vice-Chairman of the NSW Olympic Council and the Australian Olympic Federation and Chairman of the Australian Division of the British Empire Games. He was an active promoter of amateur sport and founded a number of sporting clubs and institutions such as the Darlinghurst Harriers, the North and East Sydney Amateur Swimming Clubs, the Manly Surf Club, the NSW Amateur Swimming Association, the Sports Club Ltd, the Amateur Billiard Championship Committee and the National Coursing Association. He was a council member of the New South Wales Rugby Union for five decades. The City of Sydney Athletic Field is a memorial to him. Marks served the Red Cross as Deputy Chairman, member of the Divisional Council and the Executive. He was a delegate to the International Red Cross Conference and representative of the NSW Division on the Central Council. During World War I he was a member of the State Recruiting Committee and the Citizens’ War Chest Fund committee. He was also president of the Jewish War Memorial Fund. He was chairman of the United Charities Fund, vice-president of the St John Ambulance Association (1938) and a life governor of Royal Prince Alfred Hospital from 1917. Ernest and his brother Percy Joseph Marks (1867-1941) were both active within the Jewish community, especially the Jewish Literary and Debating Society, and were early supporters of Zionism. Their grandfather was one of the original members of the Board of Management of the York Street Synagogue. They were responsible for the formation of the Australian Jewish Historical Society. Percy was the first president in 1939-41, followed by Ernest from 1944 to 1947. Ernest Marks? collection of Judaica and his sports library were later donated to the Mitchell Library, at the State Library of NSW. 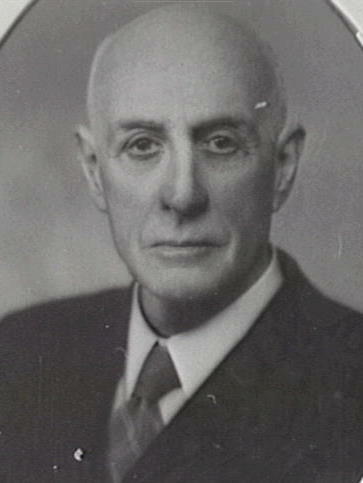 Ernest Marks was elected a member of NSW Legislative Assembly from 8 October 1927 to 18 September 1930. 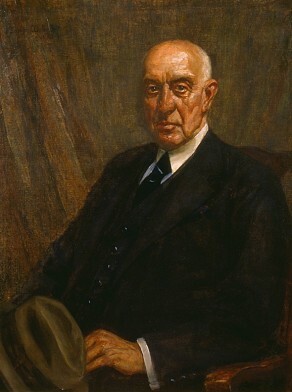 Ernest Marks was awarded the CBE in 1938. He was also decorated by the King of Sweden for his services during the Stockholm Olympic Games. Ernest Marks was Alderman for Lang Ward, 26 March 1920 to 31 December 1927 and for Gipps Ward, 18 June 1930 to 2 December 1947. He was a member of the Health and By-Laws Committee, 1920-27 and 1931-47 and its Vice-Chairman 1922-24 and 1931-47. He was a member of the Finance Committee, 1920, 1923-27, 1938-47, the Electricity Supply Committee, 1921-22, the Electricity Committee, 1931-35, the Works Committee, 1931, 1933-38 and 1943-47, and the City Planning and Improvements Committee, 1937, 1940-47. He belonged to the National Emergency Service Special Committee, 1940-45 and the Markets Special Committee in 1942. Marks became the first Jewish Lord Mayor of Sydney in 1930. His sister Hilda Violet (d.1948) acted as his Lady Mayoress and took a keen interest in charitable activities. Marks also represented the Citizens’ Reform Association. Suzanne D. Rutland, ‘Marks, Ernest Samuel (1871–1947)’, Australian Dictionary of Biography, National Centre of Biography, Australian National University, http://adb.anu.edu.au/biography/marks-ernest-samuel-7777/text13055, accessed 20 December 2012.